There is no such thing as a suit for all occasions. Neither is there a suit for all seasons. Now the cold has set in it’s time to layer up with an array of winter suits to fit the conditions. As we move into the colder months, the light hues, loose fits and lightweight materials we wore over the summer are a distant memory. However, it’s no winter of discontent for gentlemen who are partial to a bit of woollen cloth: thick tweeds, versatile cashmeres and worsted wool fabric offer rich variety to choose from. It is the season where we oscillate between frostbite in the street and hyperthermia in shops and on public transport. Offices at this time of year can also present an environment of climatic extremes as colleagues struggle to agree on the right level for the thermostat. Any gentleman must be careful about the suit material he chooses in such turbulent scenarios. Wool suits are warm, but no material is as versatile in changing temperatures as cashmere. Comfort aside, this most hallowed of materials is not without its drawbacks. 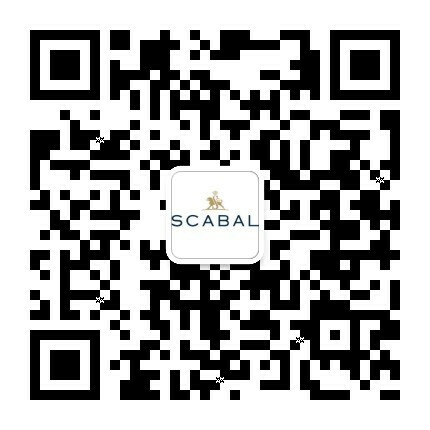 It is on the more expensive end of the spectrum while also being less durable than other fabrics. For the clothes moth, it’s also by far the most delicious. The solution? 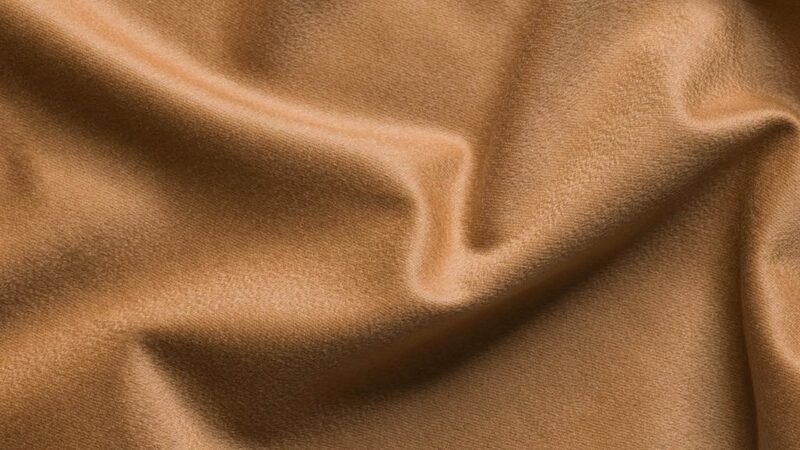 Opt for a blend of wool and cashmere and store suits in a wardrobe made of cedar wood, which repels the moths. 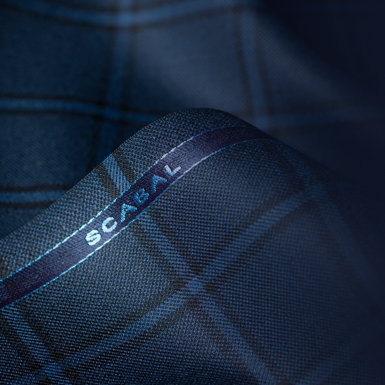 For everyday wear, there is no finer (or more popular) choice than worsted wool suits. 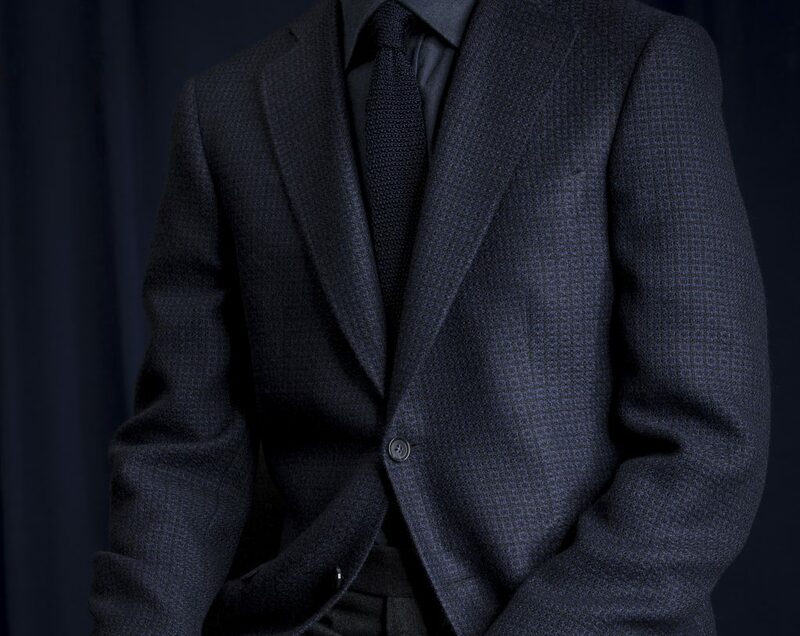 A versatile go-to that is reliably warm, the wool can be tightly or loosely knitted depending on how warm or breathable the suit needs to be. Worsted wool is also known to be robust, drapes well and holds a decent silhouette even after years of use. Considered a middle-weight wool, it feels lighter to wear than tweed or flannel too. Although worsted wool is a wonderful all-rounder, there are scenarios during the winter that require a more specialised look. Winter brings with it the shooting and hunting season, and whether a die-hard huntsman or a devout vegan, you’ll need a jacket suited for tramping around the countryside. For this, an outfit of tweed or herringbone hits the right mark. Both are thick, heavy and resistant to water. Tweed was worn by mountaineer Sir Edmund Hillary when he climbed Everest, so ought to be an ample shield from the odd downpour. People often make the mistake of thinking that winter heralds a period of dark dressing. But while the mornings may be grim and murky, a gentleman’s outfit needn’t be. Rather, now is the time to up the ante with accessories: ties, hats, gloves, scarves, even cravats. Opting for a wool tie over an open neck will keep you warmer still. For outdoors, gloves are essential, and with a suit these should always be leather. Brown or black depending on whether you are in the town or country. On a mild day you can pair this with a Mackintosh-style overcoat for a classic look worthy of Michael Caine. Over the top, many men today are deviating from the traditional overcoat for a more contemporary coat such as a parka. No longer a faux pas, this statement look is acceptable only so long as the suit jacket is shorter than the length of the coat. For a nod to performance wear in the cold, dry months, try abandoning a coat altogether and use a fitted gilet. 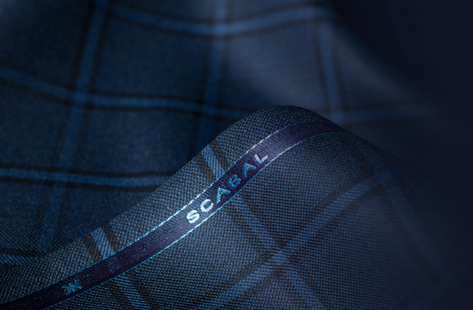 To find your perfect winter suit, make an appointment with your nearest scabal club.